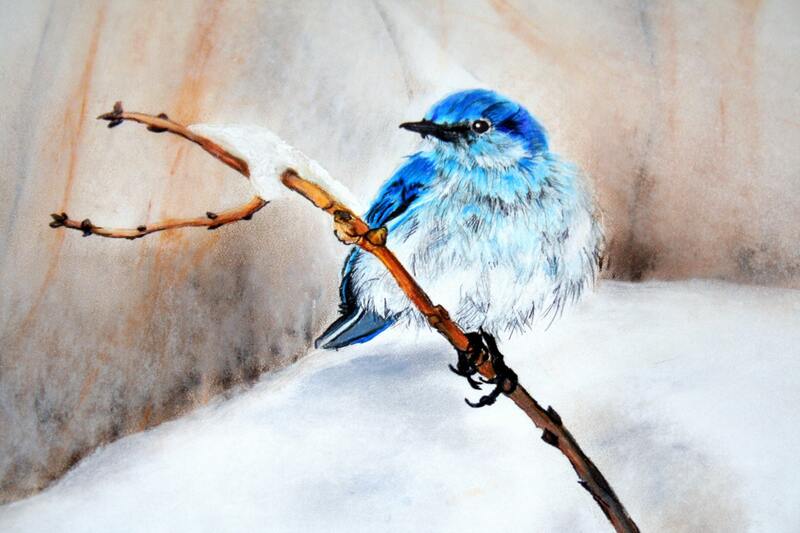 Early Arrival is an original painting of a male mountain blue bird sitting on a snowy willow branch. He's puffed up to keep warm in the less than ideal conditions he has migrated to. The background is done in dry pastel and the bird and branch are done in Prismacolor, a wax binder pencil. The painting is then sprayed with a fixative to seal it.